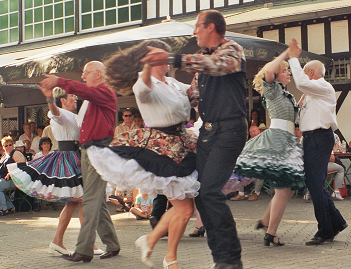 Come out to classes on square dancing beginning on Thursday, May 9, 2019, from 3 – 4 PM in the Cross Creek Creative Arts Studio. Classes will continue on Thursdays, from 3 – 4 PM, as interest dictates. The lessons will be offered by a licensed square dance caller at a fee of $5 per person/ per class. Singles or couples are welcome. Dress is casual. For further information, please contact Bob or Mary Terry. For contact information, check the Resident Directory.